NEW YORK (AP) _ The outlet wars are heating up. Macy’s Inc. has named its new discount stores Macy’s Backstage, and says the first four test stores will open this fall in New York City and the surrounding area. The details, announced Tuesday, come four months after the department store chain announced it was exploring an “off-price” retailing business, throwing down the gauntlet with the likes of T.J. Maxx, Ross and a Nordstrom Rack. This would mark the first off-price business for the Macy’s brand. Meanwhile, the parent company is opening its 14th outlet store for its upscale chain Bloomingdale’s this fall in New York’s Manhattan borough. It will mark the first outlet store for Bloomingdale’s in an urban location. Macy’s, which has headquarters in New York and Cincinnati, Ohio, has been a standout among its peers throughout the economic recovery. But it faces challenges to drive sales growth amid shifting shopper behavior. The company, which generated annual sales of $28.1 billion in the latest fiscal year, expects total sales growth of just one percent this year. That’s because shoppers are increasingly researching and buying online. Moreover, since the Great Recession, shoppers’ fixation with deals on name-brand items has only gotten stronger. That obsession with fat discounts has helped drive sales growth at off-price retailers like Ross Stores Inc. and TJX Cos., which operates T.J. Maxx, Marshalls and HomeGoods. 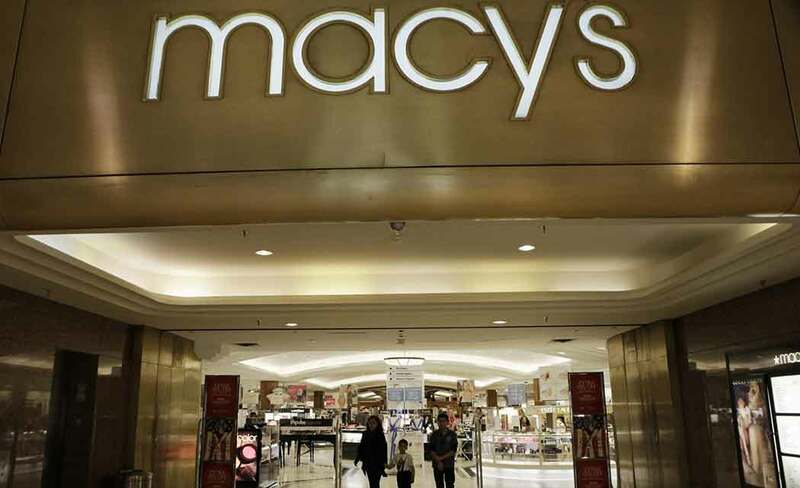 Macy’s has picked the fiercely competitive New York City area as its first battleground. The new Macy’s Backstage test stores will be located in Sheepshead Bay, Brooklyn, New York; Queens Place in Elmhurst, Queens; Lake Success Shopping Center in New Hyde Park, New York. and Melville Mall in Huntington, New York. The stores will measure about 30,000 square feet, about the same size as a T.J. Maxx and one fifth of a regular Macy’s store. They will offer products ranging from women’s, men’s and children’s clothing to home furnishings. The merchandise will include clearance goods from its 800 Macy’s stores as well as special buys from name brands at 20 percent to 80 percent off original and comparable prices for similar items. Each Macy’s Backstage store will also include amenities like a suite of large fitting rooms. One location will test a cafe concept. Macy’s spokesman Jim Sluzewski, declined to comment on future locations for Macy’s Backstage for competitive reasons. “As with all of Macy’s innovations, we will test and learn to see what resonates most with customers so we can adjust before rolling out additional locations,” said Peter Sachse, Macy’s chief innovation and business development officer.